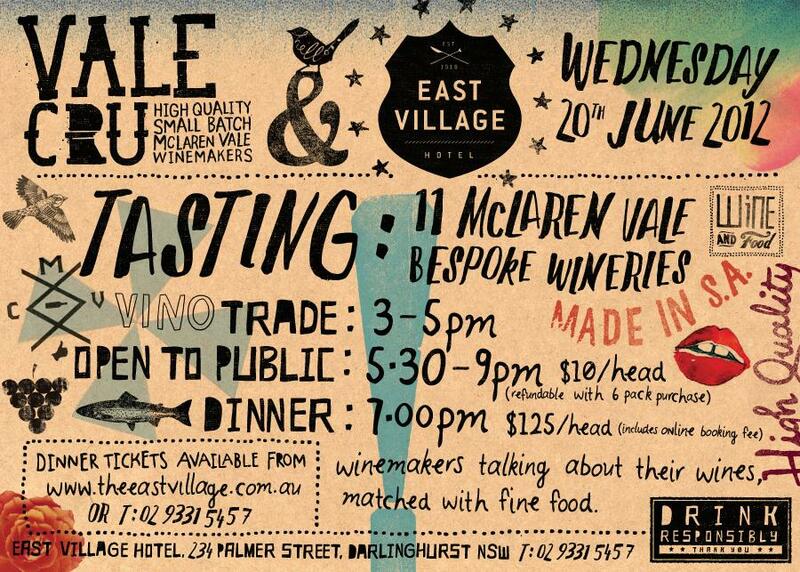 Vale Cru is on the move; A collection of small batch tip top quality wineamakers (which includes Battle of Bosworth) will be at East Village Hotel, 234 Palmer Street in Darlinghurst on Wednsday the 20th June. We are open to the trade for a tasting from 3-5pm, then a tasting for the public from 5.30-9pm. 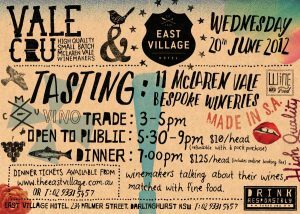 For those who want to dig in for a real experience, there is a dinner ($125.00 per head) from 7pm, where you can try the wines matched with food from East Village.